It’s gift giving season and Cookshack wants to help it easier. During the holiday season (Nov. 23-Dec. 30, 2015) all Fast Eddy’s™ by Cookshack Pellet Grills are 10% off*! Use the Promo Code Jolly during online checkout or give us a call at 1-800-423-0698. You can also email us at sales@cookshack.com. The PG500 and PG1000 will be the perfect gift this holiday season! Like all of Cookshack’s units, these pellet grills come with our standard 2 year warranty which includes 90 days of parts and labor cost plus a 30 day money back guarantee. We have units in stock now but cannot guarantee how long they will last! We also have a few Factory Second and Reconditioned units in our warehouse which have an even larger discount than this sale! Each of the Fast Eddy’s™ by Cookshack pellet grills comes with the 4 zone technology that allows you to smoke, sear, hold and cold smoke all in one unit! Both units feature a 10″ x 18″ direct cooking grate; 18″ x 18″ indirect cooking space; 10″ x 28″ top rack cooking space which makes a total of 784 square inches! Plus they also feature the 19″ x 13″ x 4″ warming drawer for cold smoking and holding! The best part about these units is you can clear off space on your porch, balcony, deck or yard by replacing multiple units with one. Get the slow smoke juiciness of a smoker, the flavor of charcoal or real wood of a charcoal grill and the ease of use with a gas grill. If you’re not sure this unit is for the barbecuer in your life, check out Forbes’ review of our pellet grills! 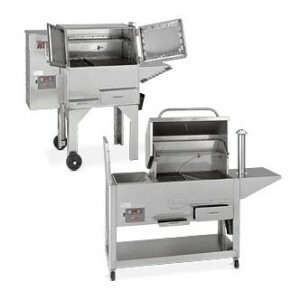 This sale also includes the Cookshack Residential Electric line of smokers and the Fast Eddy’s™ by Cookshack FEC100. The sooner you order, the more likely your order will make it by Christmas. *This offer is not valid with any other discount or promotion and we cannot guarantee delivery by Christmas. Call Karen at 1-800-423-0698 ext 222 for delivery estimates. Can u send me info on grills. We will put the information in the mail today! Our pellet grills are versatile, heavy-duty, and easy to use! We bet you will love them!